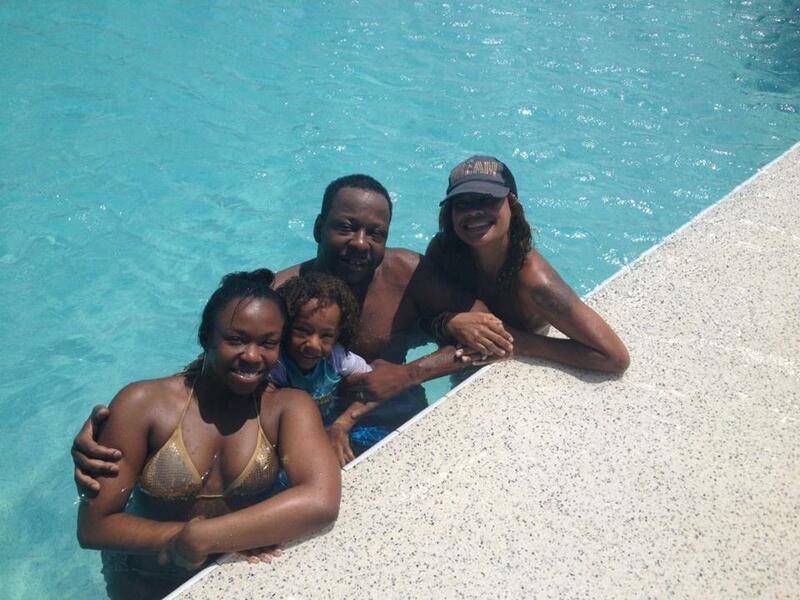 Bobby Brown and family cool off when Dad’s not heating up the kitchen. Would you have guessed that Bobby Brown is a foodie? The singer-songwriter once married to the late Whitney Houston loves to cook and has launched a line of barbecue sauces, spices, and mixes. Brown, 45, a Roxbury native, lives in Los Angeles and will be in Boston on June 27 to host a tasting of his new products at Sunset Cantina on Commonwealth Avenue. Later that night, he will take to the stage at the Agganis Arena to perform with New Edition, his former band that has reunited. We caught up with Brown to get the 411 on all things travel. Favorite vacation spot? Zihuatanejo, Mexico [on the southwest coast], for its beauty and the fishing. Favorite food or drink while vacationing? Fresh fish or coconut water. Where would you like to travel to but haven’t? Greece, for its scenic beauty and it’s one of the few places I haven’t been to. One item you can’t leave home without when traveling? Hair clippers. Aisle or window? Aisle, because I am claustrophobic! Favorite childhood travel memory? Going to Cape Cod with my family. It was the best for fishing. Guilty pleasure when traveling? Fried foods.